The International Society of Hair Restoration Surgery (ISHRS) announced a dramatic update at 6 March, 2018 on terminology change of hair restoration technique- Follicular Unit Extraction (FUE). ISHRS revised the name with replacing ‘Extraction’ by word “Excision”. The update was emphasized on revealing the absolute nature of this method that is surgical as extraction sounds non-surgical that arises the misinterpretation of the method. ISHRS received a huge support from the hair surgeons of the world respecting this. Dr. Kinnar Kapadia is an Associate Member of ISHRS Body and providing his view on this update. Dr Kinnar Kapadia is leading Plastic Surgeon and owner at Avenues Cosmetic Centre, Ahmedabad and an active member of ISHRS. He has received Gold Medal in the field of plastic surgery. 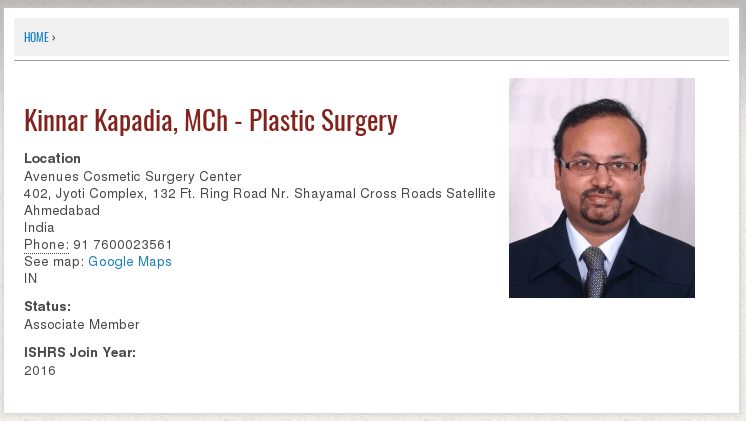 He is experienced and expert in the field and has provided desired results to patients through his excellence. As an ISHRS active member he attends all the major conferences and international meets organized for the improvisation in hair surgery treatments to attain more knowledge and learning and implement them in his treatments to maximize the good results. Dr Kapadia explains Why This Update Now..? Dr Kapadia said that in FUE hair graft removal technique graft units are removed through excision of hair & tissue. The word ‘Excision’ describes it scientifically, clinically and surgically more accurate (not the word extraction). He also added when the procedure is performed by technically expert and qualified hands of hair restoration surgeons, hair transplant is very safe and effective and can provide desired results to patients. He explained why the update was necessary? 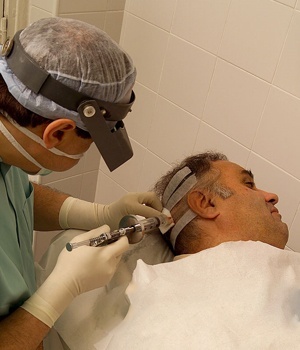 Over the past decades, word extraction implicated that FUE is hair transplant technique where hairs are plucked out from the scalp without any surgical process made. In short ‘ extraction its non-surgical in nature’. That gave a rise to the worldwide expansion of illegal and unwanted practices where Follicular Unit Excision (FUE) surgery being performed by non-medical and unlicensed personals. It created a black market for hair transplantation that caused the serious cases of cosmetic damage, hair loss, scarring and even deaths. It was necessary to deliver the right idea and purpose of this procedure, therefore, the name was revised. ISHRS is the world’s leading authority on hair loss treatment and restoration, therefore, feels responsible for the betterment of consumer’s education and knowledge about hair restoration. They Promote patients safety, truth in advertising, as well to educate the patients for all available medical and surgical options. Dr Kapadia also added the words of Dr Mejia describing the agenda of this update.